SCALES MDM framework contain functionality to harmonize master data based on a central company account hosting the Enterprise’s selected master-, reference- and parameter data. Having thorough control of master data within the Enterprise is essential for every organization operating with multiple companies where harmonization of master and reference data is required! SCALES offers a framework to support centralized creation and maintenance processes for master data, which are configurable to the specific needs and scope for the Enterprise without compromising the standard shared data architecture within Dynamics 365. SCALES MDM framework contain functionality to harmonize master data based on a central company account hosting the Enterprise’s selected master-, reference- and parameter data. By implementing this framework an easy implementation, secure MD creation process and world-class data quality output can be obtained without extra cost! Multiple configuration options are offered to taylor-fit the need for individual master data table/field control. Central repository for all the selected Enterprise master data based on dedicated company account. Configurable table- and field control to support any need of centralization of master data without losing flexibility on field level. Configurable subscriber feature (definition of which companies are included in the MDM framework). Visibility for the user on any MDM controlled form/screen to identify which field(s) are amendable centrally respectively locally within individual company accounts. No code footprint into the standard Dynamics 365 product. Full compitability with Dynamics 365 standard security framework; Security are controlled using the standard security roles and -artifacts. Workflow enabled; support creation/maintenance process cycle - both in central MDM company and individual subscriber companies. Instant update of changes; when master data amendment is done centrally the changes are instantly synchronized in the relevant subscriber companies for the records in question. No use of virtualization; all the features and the architecture is implemented without the need to virtualize any table – this ensures as well future harmonization across applications and supports different field values in different subscriber companies, if configured so as well as optimizing (limiting) the number of accessible records within each individual company account. 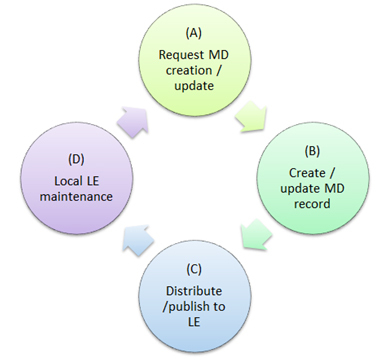 System governed master data repository and – publication features. High quality in output data for statistics and reporting. Lowering the cost of information in the Enterprise. Process oriented creation and maintenance control compatible with the standard Dynamics 365 case workflow. No code footprint and upgrade constraints. 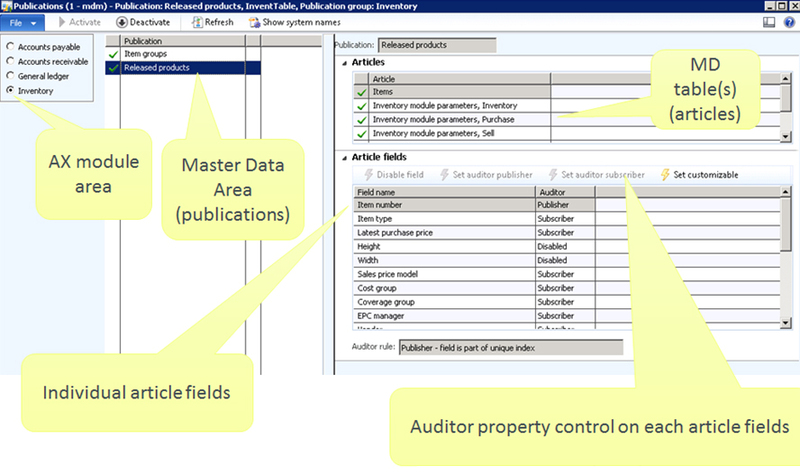 Easy customization of additional master data entity to be included in the MDM scope. Granular control on field level for any centrally controlled data entity. Parameter data can be included to enforce/secure streamlined/harmonized process-controlling system configuration; speeds up subsequent company account implementations as well as providing higest value for the Enterprise in the daily operational processes where process harmonization is required.